GP 500MB 5TK Offer! 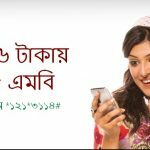 Grameenphone all prepaid and postpaid customers are eligible GP 500MB 5TK Offer. The customers who can’t use in any data in his GP SIM from 17th June 2017, they can enjoy this offer. It is very special and low price internet offer for GP all internet users. 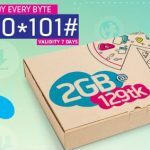 If you enjoy this offer or know more about this offer please read this full article for to get all information about this special internet pack. All GP prepaid and postpaid customers are eligible this offer. To active this offer,please just dial *121*3210#. GP 500MB data only tk5 and validity this offer in 7 days. Customer should be a non-data user since 17th June, 2017. GP users can active this offer in maximum 1 times. This special internet offer will run until the future notice. After expire this internet pack customers will be charged 0.01/10KB(till validity exists,up to 200 Taka). To check your internet balance,just dial *121*1*4#. Know more about this offer please dial 121 in GP customer care. Now all GP users can enjoy GP 500MB 5TK Offer in any time 24 hours.The customers who active this offer he/she can use this data in browsing and unlimited download.Have you any question about this offer or know more ,please comments the box.We answer as soon as possible.